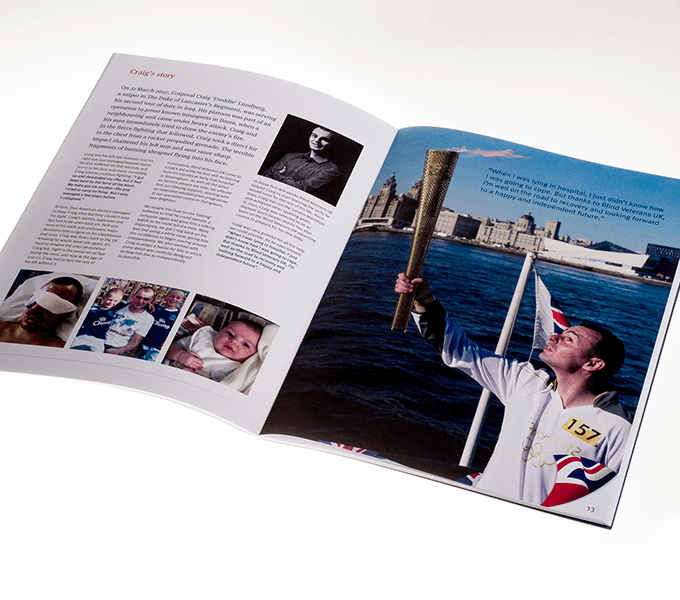 Well designed and carefully targeted marketing material can help raise funds for your charity. Blind Veterans UK (formerly St Dunstan’s) is a long established charity giving support to blind and vision impaired ex-service men and women. 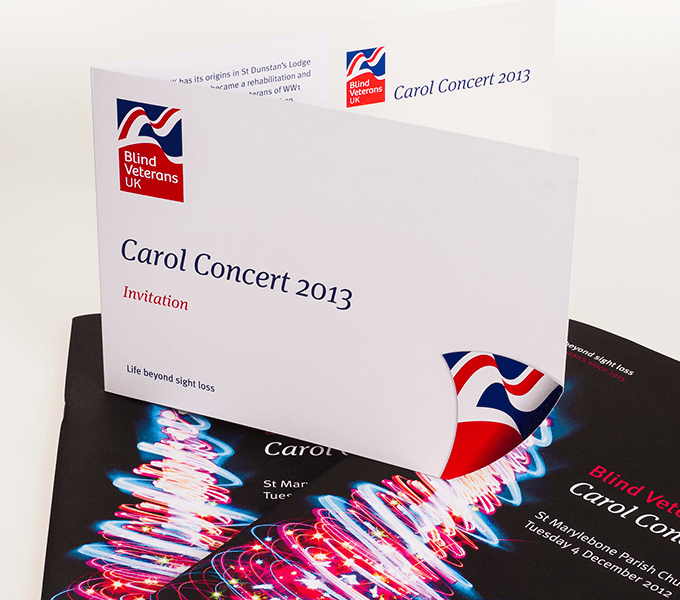 Our first project for BVUK was designing and producing material for their annual fundraising Carol Concert at St Marylebone Parish Church. 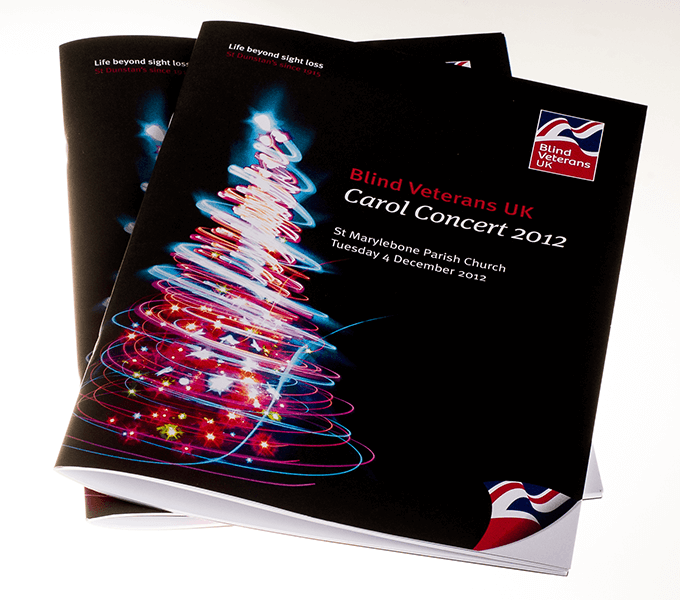 The invitation included a die cut cover and the poster programme cover featured a dynamic photograph of a ‘christmas tree’ created from coloured lights. In addition to the order of service the 32 page programme contained PR articles and sponsor’s advertising, creating another form of revenue. The material was designed to comply with BVUK’s comprehensive brand guidelines.